Do you like moving and enjoying nature ? You are going to enjoy many activities that you can practice with your family or friends and share good moments of leisure or dicover the area. Unavailable, you will enjoy the different landscapes all over the day. 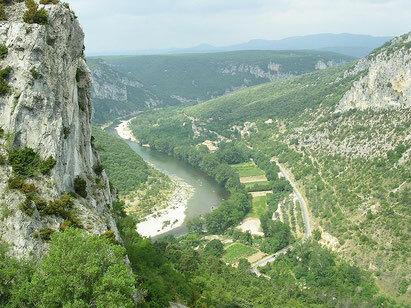 Whatever you choose the small tour or the large one (32 km on the day or several days with possibility of camping), you will enjoy the quietness and the beauty of Ardeche’s cliffs. Be careful anyway : kids, even with an adult, need to be at least 7 years old and to swim. We recommand you to wait their tenth birthday for the large tour as it’s a long day for young arms ! 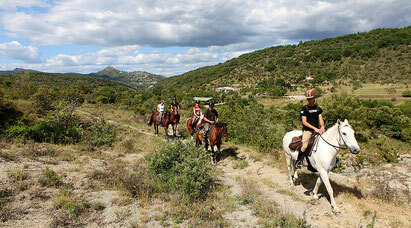 An other way to discover the Ardeche region : by riding a horse ! There are long rides along the river or in the country with a picnic on the Ardeche resort. You can bring your bike (or rent one) for tours with your family and friends ! Many tours are proposed. They can be more or less long or difficult. You can do it if you practice sports and if you are 10 years old at least. Many sites offer to spend an agreable moment in the trees protected by the sun. 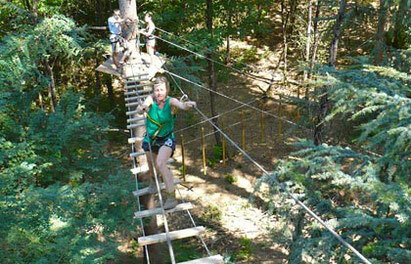 Adventure Camp in Grospierres is the closest ! In Pierrelatte in the Drome region, you can spend half a day with your family to discover more than 350 crocodiles, giant tortles and tropical birds. 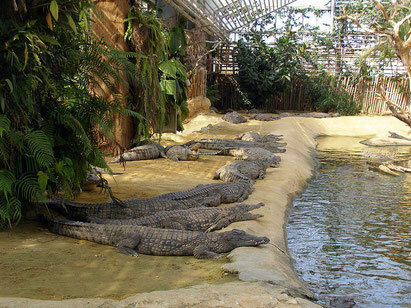 The crocodile farm is a family visit !